As a small business owner you know the importance of getting your company’s name and services out there using social media, web marketing, and having a professional website. 97% of consumers use the internet when researching local products/services. Trying to find the most effective marketing technique can be overwhelming, and even though there are many marketing services for small businesses available, how do you know what’s best for you? Two very popular marketing options are PPC, pay-per-click, or SEO, search engine optimization. This is a good place to start when trying to figure out what your marketing plan of action will be. What’s the best way to get in front of potential clients and get them to contact you? PPC is paid advertising on Google. This can be appealing to many business owners because PPC ads are displayed above the organic search results, as well as down the right side of the search results. According to Entrepreneur magazine online with PPC, you can launch a campaign and, almost immediately, your ads will start appearing on page one of Google. SEO, by comparison, is a long-term investment. You have to wait at least 3 to 6 months to see results. PPC may be a good way to jump-start your business’ digital marketing efforts by providing almost-immediate traffic. Many SEO experts will argue that SEO marketing have the better results long-term. 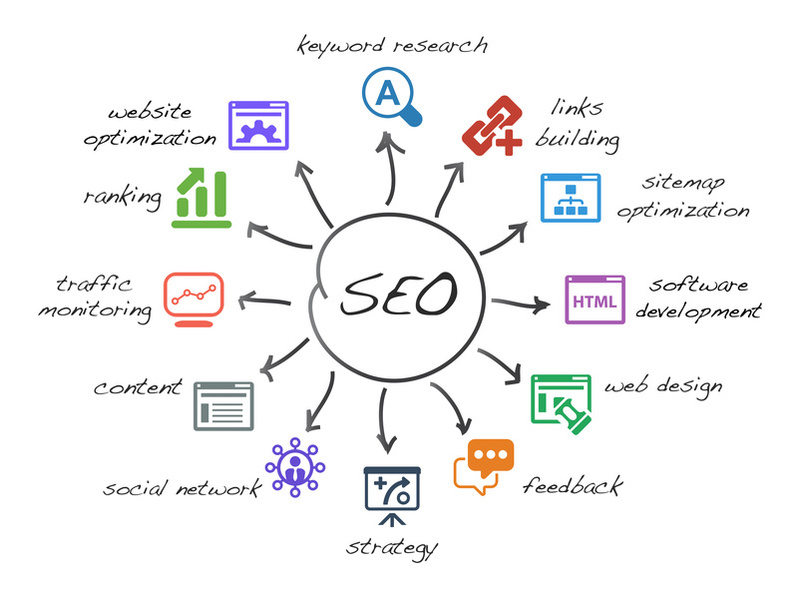 SEO focuses on natural or organic search results. A glaring difference between SEO marketing and PPC marketing is that when a PPC campaign is stopped and the budget is removed, any paid traffic stops just as immediately as it started. SEO results in continuous traffic over a longer period of time. This is why SEO should be an integral part of your web design too. The web design consists of improving page content, backlinking, titles, meta descriptions, and more. Building an SEO-friendly site requires careful planning and a structured approach so hiring a specialist is highly advised in order to best utilize your website. Another difference between PPC and SEO that many business owners have to consider is cost. With an SEO campaign, there is no cost per individual click or visitor, only the costs incurred during your web design and SEO marketing campaign. However, with a PPC campaign, there is an ongoing cost per click or visitor. The more money you have, the more traffic you can get. This is not always a financially realistic option for small business owners. Another thing to consider is that many consumers will skip ads shown on Google (even if they are ranked highly) and go with the website that is higher up on the list but is clearly not a paid ad. Organic search results are usually trusted more. Online marketing and web design can be a lot to take on as a small business owner when there are so many other things that need to be taken care of; employees, finances, clients, contracts, and more. Whether you choose PPC or SEO marketing, it would be wise to hire a marketing company that also specializes in website design. Most business owners want their company to stand the test of time and be there for the long haul and SEO marketing reflects this want. With the right SEO marketing company and a professional website, your company will easily stand out amongst the competition. Why is Structured Data Important for Local Businesses?